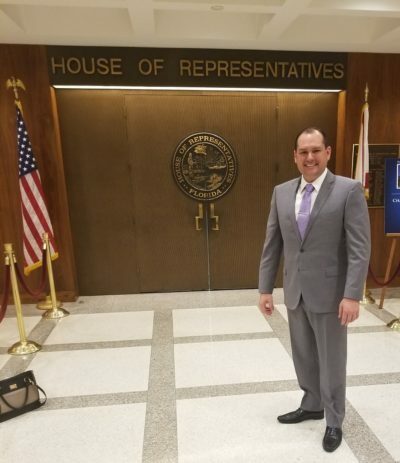 In February, our very own Brian DePotter spent a few days in Tallahassee with the NAIOP legislative board, meeting with our local representatives to discuss issues that affect the real estate industry. On March 11, Florida Lawmakers finished their annual session two days after their scheduled ending of March 9. The main focus was the $89 million dollar budget, a $6 million increase over last year’s budget. In addition, there will be a business rent tax cut from 5.8% to 5.7%. This is the second year in a row where rent tax will decrease. This affects the sales tax that is paid on commercial leases throughout Florida. On the November 6th, 2018 Ballot, Florida’s constituents will be voting on two amendments involving property taxes. Amendment 1 would provide for homestead exemption on home values between $100,000 and $125,000. This would effectively increase the exemption from $50,000 to $75,000 on the non-school district taxes. The school district exemption will stay at $25,000. If approved by the voters, this will take effect January 1, 2019. In 2008, voters in Florida approved a constitutional amendment to limit the increase in annual assessment of Non-Homestead properties to ten percent (10%). This assessment cap was applied to the County, City and Special District millage rates while the school board was exempt. The 2008 implementation of the 10% cap was accompanied by the ability for the legislature, by joint resolution, to propose an amendment abrogating the repeal. Amendment 2, which will be on the November 6, 2018 Ballot would make permanent, the cap of 10% on increases to assessed value for non-homestead properties. The cap is set to expire on January 1, 2019; 10 years after implementation. If the amendment is approved by the voters, it will take effect January 1, 2019. Amendments to Florida’s constitution require 60% approval from the voters to pass. If you would like to receive a copy of the proposed changes, please send an email to Brian DePotter, CCIM, CMI, Managing Partner, FirstPointe Advisors, LLC at B.DePotter@First-Pointe.com. Next: Next post: Welcome to the Team Jacob!